To meet the needs for control and traceability of quality records. The Quality Control module allows the management of quality controls of incoming raw materials, semi-finished products, finished products and packaging. Transactions from one status to the next are subject to user profiling, therefore the specific operations (eg approval or rejection) will be for use only by authorized users. 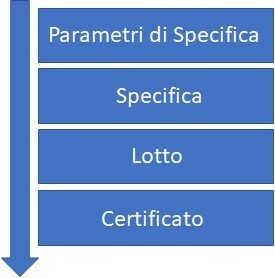 Certificates in language (with Multilanguage). Management of the type of parameter (visual, physical, chemical, microbiological) for multi-laboratory management. Free Pass: applicable to validated suppliers, maintaining data control. Sampling Plans: for managing controls according to pre-established plans. To adapt to corporate needs and procedures. The integration with the Production module and the D-Lab module makes Quality Control the ideal tool for managing the technical-productive area of ​​the cosmetic industry. With DM Batcher the Quality Control module integrates perfectly into the company structure and easily interfaces with all types of management that deal with warehouse handling, customer and supplier orders and much more.